North Great River is a hamlet and census-designated place located in Suffolk County, Long Island, New York. 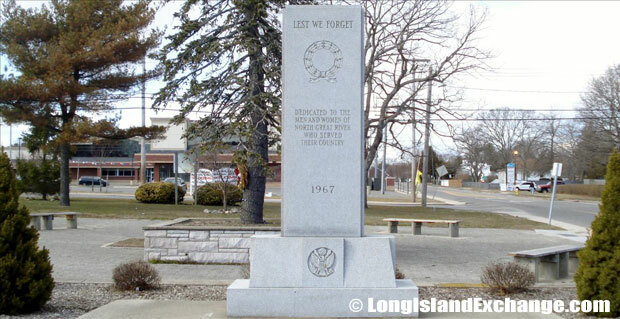 It is within the Town of Islip. The neighborhood has a total area of 2.3 square miles of which, 2.3 square miles of it is land and 0.04 square miles of is water. As of the 2010 census, there were 4,001 people with 1,367 housing units in the CDP. The median income for a household in the CDP was $93,429 and the median income for a family was $94,715. Males had a median income of $59,485 and $47,865 for females. The North Great River ZIP Code is 11752 and the Area Code is 631. The latitude of North Great River is 40.747N. The longitude is -73.17W. It is in the Eastern Standard time zone. Elevation is 30 feet. A sign welcomes visitors and residents to North Great River as well as the hamlets of Central Islip and Islip Terrace. 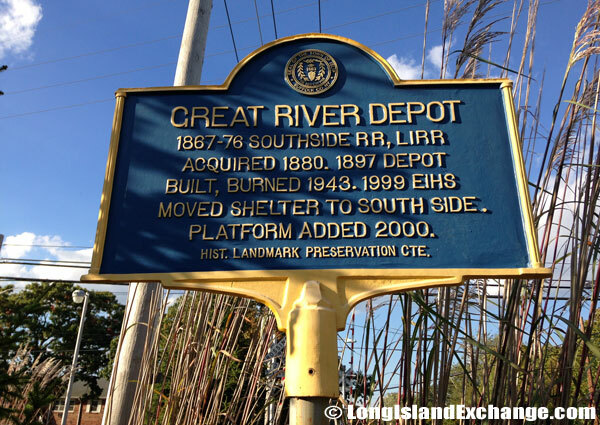 Great River Depot, 1867 – 1876 Southside RR, LIRR Acquired 1880. 1897 Depot Built, Burned 1943. 1999 EIHS Moves Shelter to South Side Platform Added 2000. 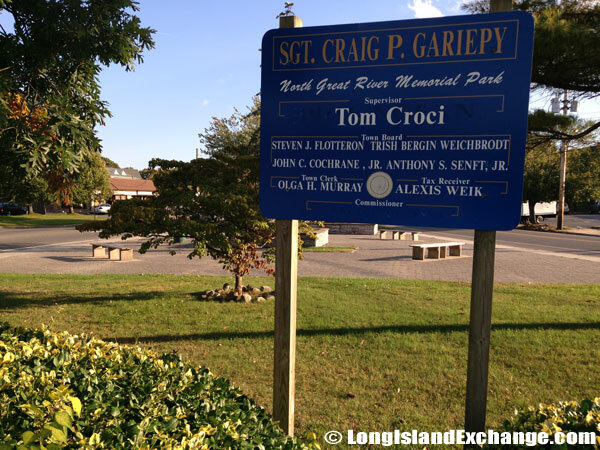 This historical marker stands at the Great River Train Station, at Connetquot Avenue just south of Sunrise Highway. North Great River is found on Nicoll’s Bay (part of Great South Bay), 80 km/50 mi east of Manhattan. Compared to the rest of the country, North Great River’s cost of living is 28.55% higher than the United States average. There public schools spend an approximately $12,177 per student. The average school expenditure in the United States is $6,058. There are about 15 students per teacher in North Great River. Marguerite L Mulvey School, Central Islip, NY. 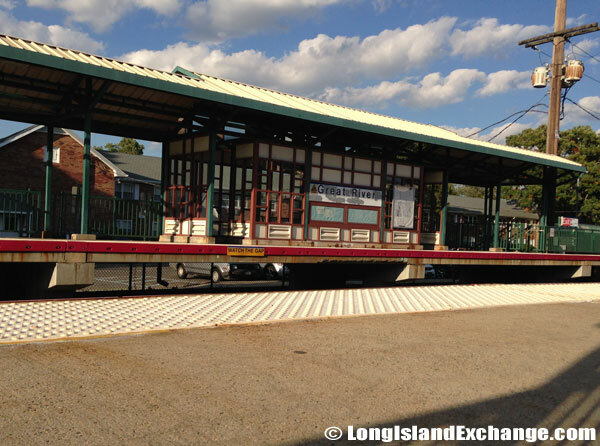 LIRR Train Station, North Great River, NY. North Great River is mainly a residential neighborhood. Most of its housing units are predominantly occupied by their owners. Renters make up 7.79% of the total population. The estimated North Great River violent crime rate is 55% lower than the New York average. 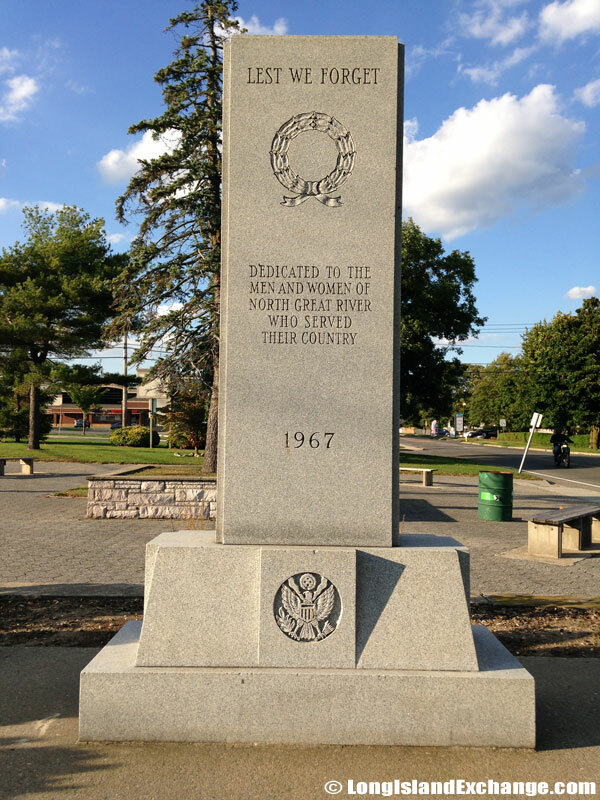 Lest We Forget, Dedicated to the men and women of North Great River who served their country. This memorial stands at Connetquot Avenue and Lowell Avenue. The racial-makeup of North Great River comprises of 94.73% White, 1.58% African American, 0.05% Native American, 1.25% Asian, 0.03% Pacific Islander, 1.27% from other races, and 1.09% from two or more races. Most of its ancestries were Italian, Irish, German, Polish, English, Puerto Rican, Russian, French, Czech, and Cuban. North Great River Civic Association Sign. 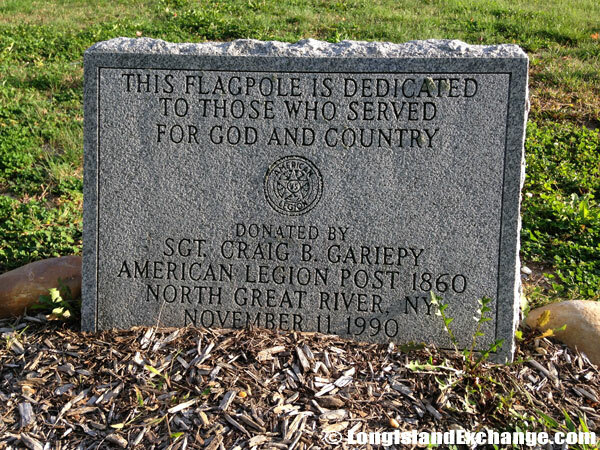 A stone commemorates a Flagpole dedicated to those who served for Goad and Country. Donated by Sgt. Craig B. Gariepy, American Legion Post 1860, North Great River, NY, November 11, 1990. The Heckscher State Park is a popular park on the shore of the Great South Bay. It is known as the “Home of the White-tailed Deer”, and in fact deer are fairly populous throughout the area. The park offers a beach, picnic tables with pavilions, a playground and playing fields, recreation programs, hiking and biking, fishing, a campground with tent and trailer sites, cross-country skiing, a boat launch, and a food concession. The Sargent Craig B. Gariepy Memorial Park, winter. The Sargent Craig B. Gariepy Memorial Park, summer. The unemployment rate in North Great River is 7.00 percent (U.S. avg. is 8.60%). Recent job growth in the area is Negative as North Great River jobs have Decreased by 1.47 percent. The hamlet is served by the Islip Terrace Post Office (11752) and the East Islip School District.